SENIOR civil servants have been urged to do all they can to deliver Ballynahinch’s new multi-million pound bypass. Work started recently on an archaeological investigation along the route of the £35m scheme which will link the Belfast and Newcastle roads. 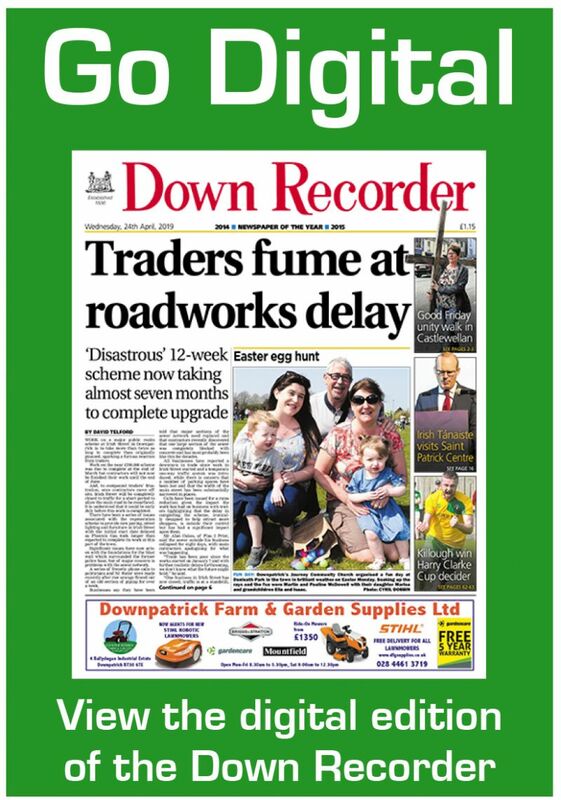 While pleased preparatory work on the eagerly-awaited project has begun, Strangford MLA, Peter Weir, has written to the Department for Infrastructure, urging it to expedite the scheme’s completion. As part of the near two-mile scheme, major new roundabouts are proposed at the Belfast Road junction with the Saintfield Road and at the Newcastle Road junction with the Downpatrick Road. A new bridge will also be constructed over the Moss Road, with the bypass passing under part of the Crossgar Road with a 90-metre long bridge constructed to take traffic over Ballynahinch River. While progression to the construction stage remains subject to clearing statutory procedures and securing finance, roads engineers insist they are doing all they can to progress the scheme with work on the archaeological investigation part of the process. Mr Weir said Ballynahinch was in “urgent need” of the new bypass in order to meet the needs of both local residents and businesses. “While I am glad that preparatory work has begun, in reality, we are still a number of years away from delivery,” the MLA continued. Mr Weir said development work on the bypass project continues, with a geotechnical investigation completed last year and advanced archaeological works currently underway. “At the same time, the government department is working up a procurement strategy and progress of the scheme will depend upon the success of a business case and funding being identified,” he continued.